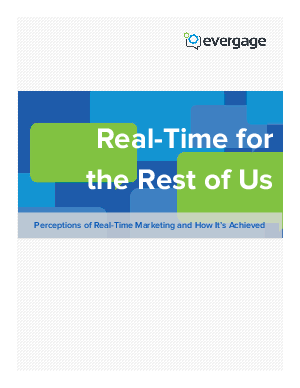 Evergage, in association with The Realtime Report, commissioned a survey of 114 digital marketers in 18 countries to determine the Perceptions of Real-Time Marketing. What we learned validated our thoughts. Most importantly we learned that a majority of digital marketers consider real-time marketing critical to their efforts, and plan to invest in real-time technology in 2014.